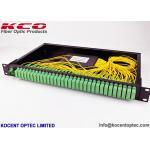 Kocent Optec Limited provide OEM service for all type of fiber optic splitter product. Such as: Mini blockless type splitter, ABS box typer splitter, LGX box type Splitter, rack mount type splitter and distriuntion box type splitter. 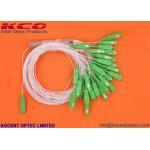 Welcome to contact with our sales team to get best support from them. 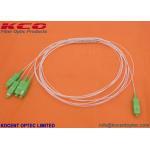 Planar lightwave circuit splitter (PLC Splitter) is a type of optical power management device that is fabricated using silica optical waveguide technology. 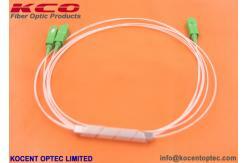 It features small size, high reliability, wide operating wavelength range and good channel-to-channel uniformity. 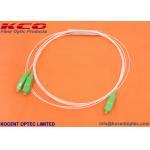 It widely used in PON(EPON/GPON) networks to realize optical signal power splitting. 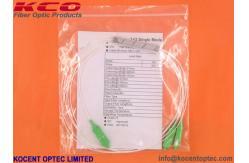 for GPON, G.987 for 10G-GPON. - Meet Telcordia GR-1221 and GR-1209. 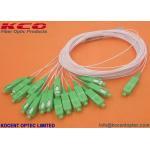 Fiber optic Planar lightwave circuit (PLC) splitter is a type of optical power management device that is fabricated using silica optical waveguide technology to distribute optical signals from Central Office (CO) to multiple premise locations. The standard LGX mental box housing provides a plug-and-play method for integration in the network, which eliminates any risks during installation. It eliminates the need for splicing machines on the field and there is no need for skilled personnel for deployement. 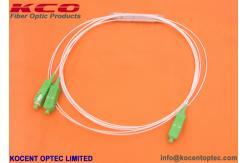 1x64 LGX cassttle module fiber optic plc splitte is also called 1*64 LGX module optical fiber plc splitter, plc fiber optic splitter, plc optical fiber splitter, fiber optical splitter, plc fiber splitter, plc optical splitter.